It is time to get back to enjoying golf again and at Down Royal Park Golf Course, we are currently welcoming new members; ladies, gents and juveniles to join. To become a full member of Down Royal Park Golf Course, the cost is £520 for one year / £10 per week fixed for 5 years. At Down Royal Park Golf Course, we have 18 and 9 Hole Golf Courses, Driving Range and Bar and Bistro. 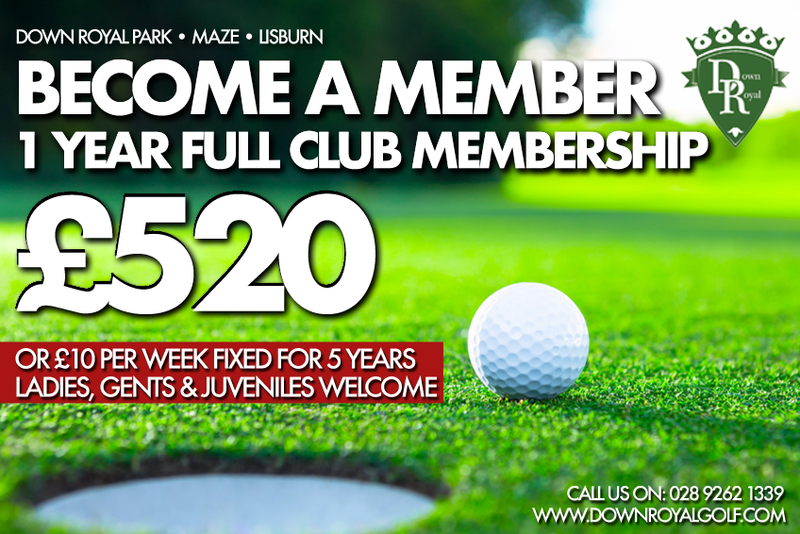 For membership enquiries please contact a member of our team on 028 9262 1339 or email info@downroyalgolf.com.